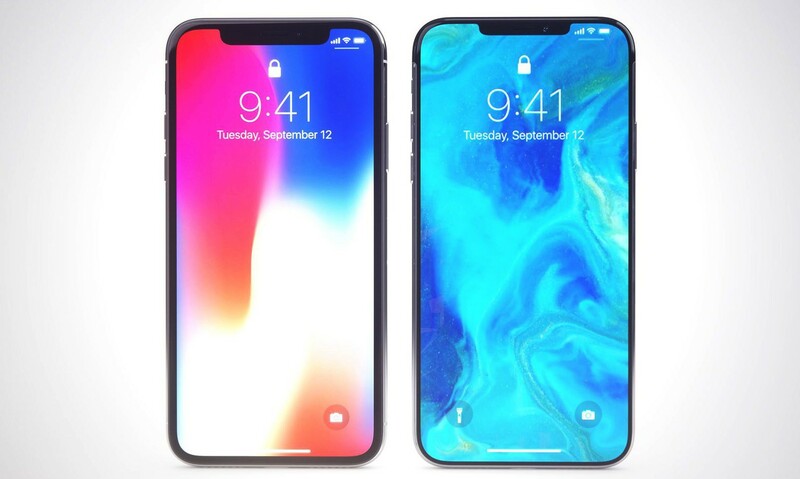 The iPhone 11 release date is still several weeks away, but some of you might want to think about skipping the iPhone X, the iPhone 8, or another iPhone model in favor of waiting for the 2018 iPhone which could include an iPhone X Plus. Apple’s iPhone X is still fairly new, but we’re hearing rumors about a potential successor, a device some people are calling iPhone 9, iPhone XI, iPhone X Plus, iPhone X 2, or iPhone 11. 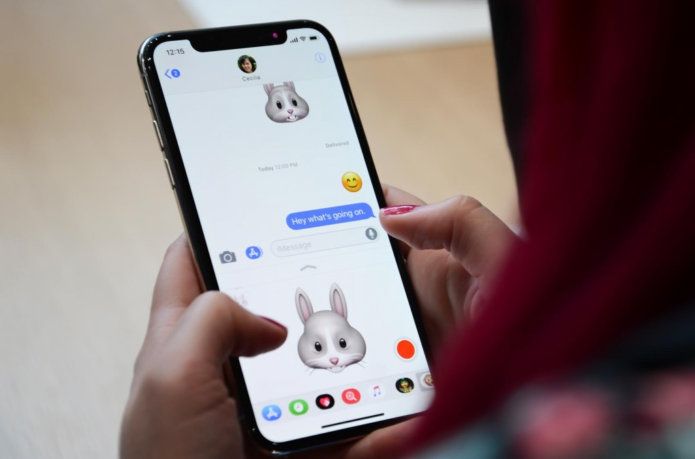 The current iPhone X is an exceptional phone with a best-in-class 5.8-inch OLED display, an outstanding camera, excellent battery life, numerous software upgrades including animated emoji characters. and excellent battery life. Apple sells several different iPhones, but the iPhone X is the company’s flagship mode. It’s also the company’s most expensive iPhone option. The company isn’t talking about the second-generation iPhone X yet and we probably won’t get the announcement until the fall of 2018 if the company sticks to the usual release cycle. That said, we can already help you decide if waiting for 2018’s version of the iPhone X is worth it. The iPhone X is an outstanding phone, but it’s pricey and only comes in two colors with two storage options and one screen size. There are plenty of reasons to upgrade right now, but some of you might want to avoid it and wait for the 2018 iPhone models. Those of you who want the iPhone X experience in a bigger package might want to wait for the rumored iPhone X Plus. A credible Apple source believes the company is in the process of making an iPhone X with a larger screen. As we push into the new year we’re starting to hear more and more about next version’s of the iPhone X. It’s still early which means there are still moving parts, but all signs are pointing to more horsepower thanks to a new A12 processor, and, potentially, a new screen size. A 6.5-inch OLED model that many are calling the iPhone X Plus. This device is expected to have a ton of RAM and a huge battery. A 5.8-inch OLED successor to the iPhone X. A brand new 6.1-inch LCD model. The 6.1-inch iPhone is rumored to have a metal design. The current iPhone X comes with a glass back. Dummy units of all three devices are starting to emerge giving us a potential look at their designs. Front glass panels have leaked showing thicker bezels on the 6.1-inch LCD model. Additional dummy units show the iPhone X Plus vs. the 6.1-inch LCD model. Kuo’s recent research notes suggest that Apple’s 6.1-inch iPhone will also come with 3GB of RAM (possibly 4GB), a single-lens rear camera, no 3D Touch, and an extremely competitive price point. Samsung is also expected to begin production of the iPhone 11’s display in the near future which could mean a faster launch in 2018. The iPhone 8 and iPhone 8 Plus were released in September while the iPhone X release was pushed to November. French site Consomac reports that Apple’s registered several iPhone model numbers at the Eurasian Economic Commission (EEC), a sign of progress. These model numbers include existing devices like the iPhone SE running iOS 12. Waiting for the iPhone 11 is tempting, but if you find something you absolutely love and you don’t want to wait a full year for the device to arrive, you might want to stop waiting and avoid several more weeksmo of rumors and speculation. This guide will lead you through the best reasons to wait for the iPhone 11 and the best reasons to commit to another phone right now or in the near future. One of the best reasons to skip the current iPhone X is if you want the iPhone X in a bigger size. 2017’s iPhone X comes with a 5.8-inch display, but it’s about the same size as the iPhone 8 and iPhone 7 which sport 4.7-inch displays. For many people, including several we’ve spoken to, the current model is too small. Many people are hoping for a larger iPhone X model with a larger edge-to-edge display. Nothing is confirmed, but it looks like they might get their wish this year. Well-known KGI Securities analyst Ming-Chi Kuo believes Apple is working on a 6.5-Inch iPhone X Plus for 2018. The display will reportedly feature 480 to 500 PPI (Pixels-Per-Inch). In addition to the larger screen, Kuo thinks the iPhone 11 Plus / iPhone X Plus will come with a full-screen notched design, a TrueDepth camera system, and up to a 25 percent larger battery capacitythan the original iPhone X.
Kuo’s been wrong before, but the analyst’s also been extremely accurate in the past. Kuo predicted many of the features that made it onto last year’s iPhone X. According to Japanese blog Macotakara, the iPhone X Plus will be roughly the same size as the 5.5-inch iPhone 8 Plus. The site claims the design will be a little thicker than last year’s flagship due to the mounting form of the rear camera. A new image from Ben Geskin (seen here) shows what the 6.5-inch iPhone X Plus will look like next to the two other rumored iPhone 2018 models. If you aren’t in love with the current size of the iPhone X, and you can make it through the next few weeks with your current device, think about taking a rain check. You should also make sure you go hands-on with the iPhone 8 Plus before you commit to waiting. Screen size is just one piece of the puzzle. The iPhone X is made up of many moving parts. Some you might love, but others might leave you wanting more. The iPhone X is a powerful phone and it’s going to be good enough for most people. iOS 11 flies on the iPhone X. The device can shoot high-resolution 4K videos and beautiful photos particularly in Portrait Mode. And while it’s battery life isn’t a huge leap for iPhone Plus users, it’s a pretty substantial upgrade for anyone upgrading from an iPhone 5s, iPhone 6, or iPhone 7. Many of you will fall in love with the processing power and the camera, but there’s a chance you’ll find its specs underwhelming, particularly at its current price point. Ming-Chi Kuo believes the iPhone models Apple releases in 2018 will come with Intel’s XMM 7560 and Qualcomm’s Snapdragon X20 modems. If this pans out, and that’s a big if, the change will enable faster LTE transmission speeds. He also believes the iPhone X’s successor will come with a brand new two-cell L-shaped battery designed to surpass the original iPhone X’s battery life. iPhone 11 rumors are still fairly scarce, but we don’t need a list of rumors in front of us to tell you about a few things to expect from 2018’s flagship iPhone. New iPhones always improve upon their successors thanks to hardware changes and tweaks to the company’s iOS operating system. You can expect the iPhone 11 camera to be a little better than last year’s model. You can expect it to be faster due to a processor change (A12). You can expect an additional year of iOS software support. And if we’re lucky, we’ll see additional colors and storage options. There are also some kinks Apple needs to work out. There’s that crackling sound issue, FaceID isn’t perfect, and there are some gestures (remember, the iPhone X doesn’t have a home button) the company will refine over time. 2018’s version of the iPhone X will almost certainly be a more refined version of last year’s model and that might make a long wait, and its potentially hefty price point, easier pills to swallow. If you’re getting tired of the same old iPhone colors, you’ll probably want to stick around and wait for Apple’s 2018 models. According to a new research note from Ming-Chi Kuo, Apple’s new iPhones will come in a variety of colors. The color options reportedly include three different iPhone X Plus color variants and five 6.1-inch LCD iPhone color variants. It’s unclear if the red color Kuo is referring to is the PRODUCT(RED) option Apple typically offers months after the initial launch or something else. Gray and white might refer to the “Space Gray” and “Silver” options that are available right now on the current iPhone X. If you want all of the perks of buying a 2018 flagship (software support, higher-end hardware features) without having to break the bank, you might want to wait until September or October. Apple’s rumored 6.1-inch LCD iPhone might not come with the same bells and whistles featured on the iPhone X2/iPhone 11 and iPhone X Plus/iPhone 11 Plus, but it should be more affordable. Originally, Kuo put a $700-$800 price point on the device in the United States. This was up from the previous $650 to $750 estimate. A more recent research note suggests Apple might launch the 6.1-inch LCD iPhone with a price point as low as $550. Kuo believes Apple could release two different versions of the phone. One of them could come with a standard single SIM setup and another with dual SIM configuration. According to Kuo, this could mean two different price points. The note suggests the single SIM 6.1-inch LCD model could sell for $550-$650 while the dual SIM model could go for $650-$750. The 6.1-inch LCD model might not come with the same kind of firepower, but it could be attractive to those of you looking for a big screen iPhone that doesn’t break the bank. While it would be amazing to see Apple release an iPhone 11 (and an iPhone X Plus) in the first half of 2018, that’s probably not going to happen. Apple’s annual spring event came and went without a new iPhone and so did WWDC 2018. With Samsung reportedly firing up display production this summer, the chances of a surprise launch in the summer are slim to none. If you can’t wait through weeks of iPhone 11 rumors and speculation, you might want to stop waiting now. It’ll be awhile before we have the full spec sheet, a launch date, and a firm iPhone 11 release date. There is some good news though. With display production allegedly starting up, there’s a good chance Apple will release all three new iPhone 11 models at the same time. Apple reportedly had trouble getting the iPhone X’s TrueDepth camera system ready in time for a September launch, but it looks like the company has straightened those out ahead of the 2018 iPhone launch. According to Kuo, Apple is planning to release all three 2018 iPhones in September after a launch event in the same month. Another report from hit or miss blog Japanese blog Mac Otakara echoes Huberty’s note and claims the 6.1-inch iPhone’s release date could be pushed deeper into the fall. If the cheapest 2018 iPhone model is indeed delayed, expect more reports to mirror Huberty’s in the near future. That said, while you might be able to get your hands on Apple’s flagship iPhone faster, pre-order availability will likely remain limited. New iPhones almost always sell out ahead of their release date. If you aren’t thrilled with the current crop of devices, which includes the iPhone 8, iPhone X, Galaxy S9, Galaxy Note 8, and others, think about waiting. As we push into the new year the rumor mill will start heating up as the prices of current flagships will start cooling off. And it’s not just iPhone X rumors. We’re also starting to see Samsung Galaxy Note 9 rumors firm up as we push into 2018. The Galaxy Note 9 launch date is confirmed for August 9th, just ahead of Apple’s rumored media event in September. By the end of August, you should have a better idea about the iPhone 11 and its competitors. We typically see a flurry of rumors emerge in the first half in the year as companies get to work on their flagships. If you don’t like what you’re hearing about the iPhone 11, or its competitors, you’ll have a bunch of cheap options at your disposal. We expect the prices of the iPhone 8, iPhone 8 Plus, iPhone X, and others to dip after the holidays as retailers look to clear out their inventory ahead of this year’s models. If you want the best iPhone X price you’ll have to wait. We’ve seen a few iPhone X deals here and there, but we haven’t seen any substantial price cuts on Apple’s 5.8-inch flagship. You won’t have to wait until September to find a solid iPhone X deal, but it could be several months before we see retailers offer a significant discount. We expect to see some of the best iPhone X deals emerge in August as Apple gears up for its next iPhone launch. Rumor has it, Apple will discontinue the iPhone X in favor of a price drop, but that doesn’t mean retailers will stop selling the current model. If that happens, and nothing is confirmed, we’d expect retailers to continue selling their iPhone X inventory at a discounted price. If you want to use fast charging without having to spend additional cash on accessories, think about waiting for the iPhone 11. If you want to take advantage of the fast charging capabilities featured on Apple’s current iPhones, you need to purchase additional accessories. According to a leak discovered by Japanese blog Macotakara, Apple will bundle a similar accessory with the new iPhone. The leak depicts a prototype of the rumored Apple 18W USB-C charger. If real, it would replace the 5W charger Apple currently includes with new iPhones. The change would also allow owners to connect their iPhone to a MacBook Pro. The cable that comes with Apple’s iPhone does can’t plug into a new MacBook Pro without a dongle. There’s no guarantee this will happen, but if it does, it’s a nice perk for those looking to buy a new iPhone in 2018. If you can’t stand the notch at the top of the iPhone X’s screen, you might want to start looking for another phone. Nothing is confirmed, but it looks like Apple might be more than a year away from slimming down the sensor housing notch on the iPhone X’s display. According to a report from ET News in Korea, Apple is looking into integrating the Face ID sensors into the front-facing camera. This change would allow the company to shrink the size of the notch. Unfortunately, the change might not come in 2018. The report claims Apple is aiming to make the change in its 2019 iPhones. There is a bit of hope though. Barclays claims the second-generation iPhone X could actually have a smaller notch than the current iPhone X. It’s unclear how much smaller it would be. A more recent report from ET News echoes this. Smaller or not, the notch will almost certainly return in 2018. If you aren’t sure about the notch, go hands-on with the iPhone X and see what you think. It could be a game-changer for you or the person you’re buying for. If you’re in the market for a small screen phone, don’t plan on waiting until the fall. All three rumored 2018 iPhones are rumored to have enormous displays. The two credible devices, the iPhone 11 and iPhone 11 / iPhone X Plus, will, according to Kuo, come with 5.8-inch and 6.5-inch displays. If Apple releases a new 4-inch iPhone, and that’s a huge if at this point, we expect it to be an iPhone SE 2 with lesser specs. Kuo believes the iPhone SE 2 will be a modest upgrade. If you really want a small screen phone, you’ll want to take a long hard look at the iPhone SE, Apple’s current flagship 4-inch iPhone. Again, there’s no guarantee we’ll get an iPhone SE 2 in 2018. You might also think about picking up a cheap small screen Android device between now and the iPhone 11’s release date. One of the biggest gripes people have with the iPhone X is its price. The cheapest version of the iPhone X is $1000. Several people we’ve spoken with are hopeful Apple drops the price of its flagship model in 2018. And while rumors are already hinting at cheaper 2018 flagships, you can still expect the higher-end models to command expensive price points. Again, analyst Ming-Chi Kuo believes Apple is working on a mid-range 6.1-inch LCD model that adopts some of the iPhone X’s features including the full-screen notched design and TrueDepth camera system. It might also come with a metal design. He also believes the the 6.1-inch model will come with a cheaper starting price point in the United States. As for the other two, Kuo thinks the 6.5-inch OLED iPhone X Plus will take the top spot at $900-$1,000 while the second generation OLED iPhone X will be price between $800-$900. If true, the second-gen iPhone X would be a little cheaper than the previous model while the larger iPhone X Plus would take over the price point of the current model. If you want the highest end 2018 iPhone model, be prepared to shell out. If you aren’t married to the iPhone or attached to Apple’s ecosystem, and you find something you love, don’t let the iPhone 11 hold you back. Most carrier plans allow you to upgrade to a new device after a year, when you trade in your phone. So if you were to buy a device now, you’d be able to pick up an iPhone 11 right around or soon after its launch. The iPhone 11 also has serious competition. Some of that is in-house (current iPhone X, iPhone 8, iPhone 7, iPhone 6s) and some of it comes from the Android competition. The Samsung Galaxy S9 and Galaxy S9+ are two of the best Android phones ever made and you don’t have to pay top dollar for them. Samsung’s Galaxy Note 8 is a solid iPhone Plus competitor and Google’s Pixel 2 and Pixel 2 XL are two of the best phones of 2017, regardless of the operating system. Don’t put your eggs in one basket. Make sure you look around and if you find something that suits your needs at a price you can afford, don’t be afraid to pull the trigger.